« The Great Debate: What Really Caused the ‘Aflockalypse’? The popularity of the environmental movement has flooded society with corporations claiming to uphold their social responsibility through environmental consciousness. Although it is encouraging to see collective environmental efforts, it has become increasingly difficult for consumers to tell the difference between the companies genuinely dedicated to making a difference and those using green initiatives to increase visibility and brand value. The capitalistic response by corporations has contributed to public skepticism of greenwashing. 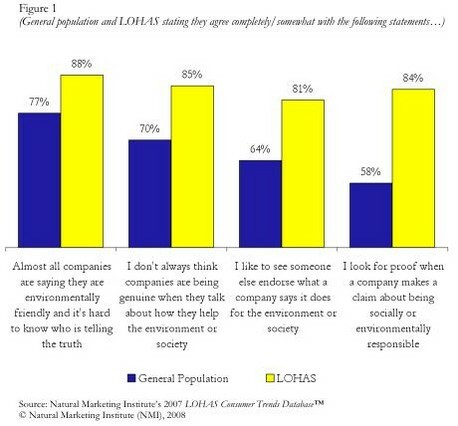 In addition, greenwashing skepticism has created a new obstacle for public relations practitioners communicating environmental initiatives. Research has shown two-thirds of consumers would change their buying behavior to improve the environment even if it meant paying more for a product. In response to these consumer trends, greenwashing has become pervasive in everyday consumer marketing. The 2010 Greenwashing Report found that there are 73% more green products on the market today than in 2009. Among these green products, more than 95% of these products were found to commit at least one of the seven sins of greenwashing. The U.S. government has responded to misleading environmental claims by developing the Federal Trade Commission Guides for the Use of Environmental Marketing Claims a.k.a. Green Guides. However, the standards set by the Green Guides often lack effectiveness because there is little enforcement behind them. The responsibility falls upon the organization and PR practitioners to ethically communicate green initiatives. The public is constantly exposed to corporate campaigns featuring green goals, products and CSR initiatives. Public skepticism has emerged questioning the motives behind environmentally responsible behavior. The prevalence of greenwashing has further contributed to the mistrust asking whether companies are executing environmental campaigns to benefit society or rather to ultimately improve their image to maximize profits. The public has become increasingly sensitive to the thin line that organizations and public relations practitioners must meander when managing these conflicting goals. Communicating green efforts can be particularly difficult when the public is already skeptical of environmental corporate action. The nature of public relations is derived from the notion that communicators must always consider the public to whom they are trying to reach and the environment in which they are communicating. Capitalistic motives and public skepticism are two characteristics that greatly affect both the consideration of the public and context. Therefore, it is vital for communicators to understand greenwashing effects. In a time of global environmentalism, green corporate acts benefit both society and the planet. However, failure of PR professionals to recognize the influence of perceived organizational motives will further hinder communication of organizational good deeds to its publics. 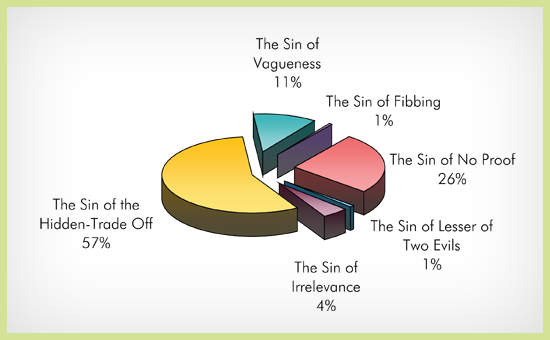 The seven deadly sins of greenwashing were pretty interesting. I think it’s important that consumers know not only that greenwashing exists, but also how to identify it. Great post!